From 11-15 November 2013 a group of 11 emerging Indigenous art leaders throughout the Kimberley region of Western Australia will gather in Perth for the Emerging Leaders Program, a week-long professional development program which is a core component of the Desert River Sea: Kimberley Art Then & Now project. 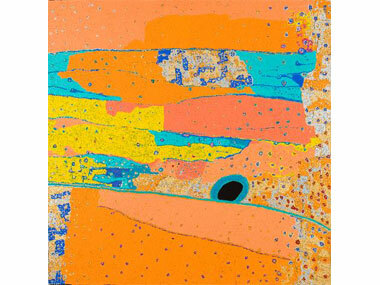 Desert River Sea: Kimberley Art Then & Now is an Art Gallery of Western Australia initiative funded by the Rio Tinto Community Investment Fund. The six-year initiative, announced in April 2013, involves documenting stories and art practices across the vast Kimberley region resulting in an extensive library of images and film interviews presented through the Desert River Sea website (to go live in March 2014), as well as through an exhibition. AGWA Director, Stefano Carboni, says, "The Emerging Leaders Program allows individuals who have been identified as aspiring leaders within their art-making communities to come together in Perth for a week of professional development opportunities while also discussing ways in which they may be involved in Desert River Sea: Kimberley Art Then & Now. A key component of the six year project includes an online portal which the Gallery is currently developing. This online space will provide an overview of the Kimberley's cultural landscape and will grow as the project develops. Our goal is to provide people who want to learn more about the region and its artists with a place to get that information and celebrate the cultural diversity of the region." The program and website are the result of consultation with young people based around the Kimberley, who have expressed a need for more engagement, communication and interaction with other artists and art workers in the region. “Rio Tinto is a long-time supporter of Aboriginal arts and cultural expression in Western Australia,” said Andrew Harding chief executive, Rio Tinto Iron Ore and chair of the Community Investment Fund. Michael Torres (Goolarri Media and Broom photographic artist, Broome). Desert River Sea: Kimberley Art Then & Now is a visual arts initiative led by the Art Gallery of Western Australia together with support by the Rio Tinto Community Investment Fund. The six year project will document, survey and celebrate Kimberley Indigenous art, both contemporary and historical, focusing on established and emerging contemporary artists while paying tribute to those who have come before and have paved the way for future generations of artists. The Gallery’s role in this exciting project is two-fold. Firstly, it is to collate and share the art and stories of the Kimberley that inform current and emerging arts practices in order to celebrate the region’s creativity and diversity through an online research portal and a major survey exhibition at the end of the project. 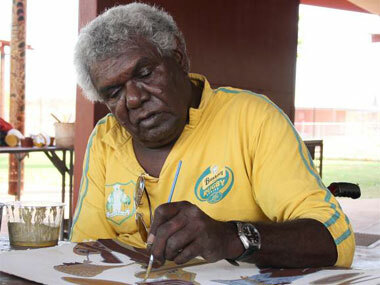 Secondly, it is to nurture creativity and support artists and arts workers through the Emerging Leaders Program, which sees Indigenous artists and arts workers from across the Kimberley involved in the development of the project as it progresses, offering extended community networking and exposure to professional development opportunities. Desert River Sea's Project Co-ordinator Chad Creighton will spend eighteen months in each of the Kimberley's areas cataloguing art styles, artist statements, artworks, and stories. The result will be a complete view of the Kimberley's rich artistic culture, available through the online research portal.